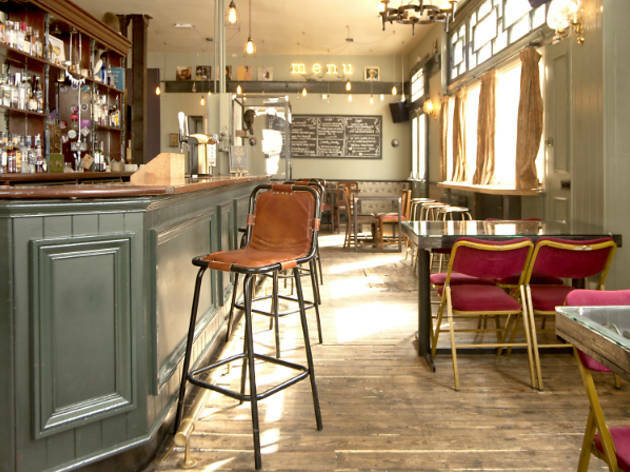 This Homerton pub is from the company that also runs The Star of Bethnal Green. They stock craft beers including two from the Camden Brewery as well as the even-more-locally-brewed Five Points Pale Ale; there is also a short cocktail list. The food menu, courtesy of permanent resident Sugar Shack, showcases slow-smoked meats shredded and served in multi-layered 'stack' sandwiches with vegetables and dressing. Other dishes include burgers, Sunday roasts and a few vegetarian choices. A lovely northern man greeted us with a warm greeting of "alright guys" he informed us of the drinks on offer with real enthusiasm and vigor. We happily signed up for a regulars card which is a bit like the tesco club card but better. Comfortable trendy bar, with great food from Sugar Shack. You even get a loyalty card! Staff are friendly. All in all, a good place to hang out. Amazing community spirit. Always great selection of brews. Incredibly tasty food. Great menu and selection of drinks. Love the decor and atmosphere. Lucky to have this place as my local! 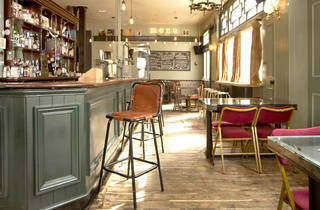 A really old fashioned pub with a modern twist with AMAZING food, FANTASTIC events and a FRIENDLY EFFICIENT staff. A pub you can really get dug into whether its cask ales, the latest cocktail ( there is a barman there who really knows his stuff or just a cup of cha. The chef there Andi Oliver is a tour de force and has transformed this rather ordinary pub into something really special. Fantastic local pub - great food and a good selection of drinks, with really friendly staff ready to help with recommendations or just have a chat! Amazing atmosphere - wicked chef and banging nosh! So pleased to have this as my local! Great, friendly staff. Great food and locals card makes this my pub of choice! Excellent pub, amazing food, lovely staff, the best local a Homerton gal could ask for. Food amazing and great staff.. and always something fun happening! my favourite place for a Sunday Roast and run by fabulous people, love it! Easily the friendliest pub in the area, an exceptionally good knowledge of cocktails and some incredible food! Amazing venue. Love the design and the beer is fantastic.